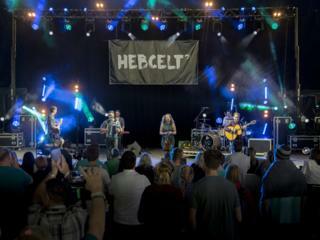 Organisers of the Hebridean Celtic Festival have described this year's event as the "most successful" in its history. 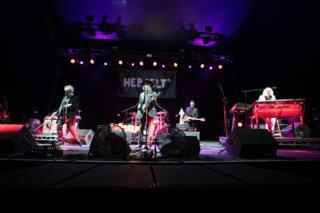 HebCelt was held earlier this month in Stornoway on the Isle of Lewis. 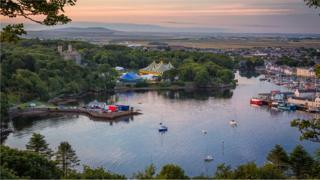 The headline acts included The Waterboys, Imelda May, Lucy Spraggan and Skerryvore. Also, the Peatbog Faeries and Dougie MacLean. There were more than 40 acts and more than 70 hours of performances on the main arena in Stornoway town centre and sold-out community shows elsewhere on Lewis and on neighbouring Harris. Almost 16,000 people attended over the four days. 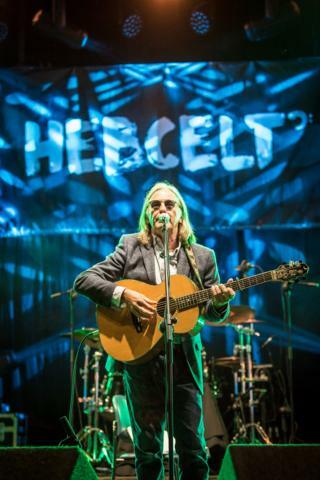 HebCelt's 20th anniversary festival in 2015 had about 15,000 people. Caroline Maclennan, the event's director, said: "Our 22nd festival was a great success. "The beautiful weather added to the wonderful atmosphere in and around the arena and the feedback from the artists, audience and traders has been extremely positive, demonstrating the enormous benefit to the community the festival undoubtedly brings. "It is a relaxed, chilled out occasion and, with the kids running around enjoying themselves too, it provides a superb family experience." She added: "The demise of other festivals underlines just how challenging it is to organise these large-scale events, particularly outside the bigger population centres. "Our continued success is testament to the fantastic support we get from our audiences, funders, sponsors, supporters and from this community."